A NEW MOISTURISER THAT FEELS LIKE WATER ON THE SKIN! It seems too good to be true; can there really be a moisturiser that gives plenty of hydration to the skin and feels invisible when applied. Well if that sounds like it would tick a few of your moisturiser boxes then this will be your dream moisturiser that is fairly affordable and is perfect for anyone who suffers from dry skin or needs an extra burst of hydration in the mornings and evenings. Earlier this year, Glamglow released a brand new moisturiser called the Waterburst Hydrated Glow moisturiser and I have been obsessed with it ever since I purchased it, a couple of months ago - I love it so much that I knew I had to write a whole review of it for all of you as I know there will be some of you who suffer from dry skin like me and need a solution that really works! 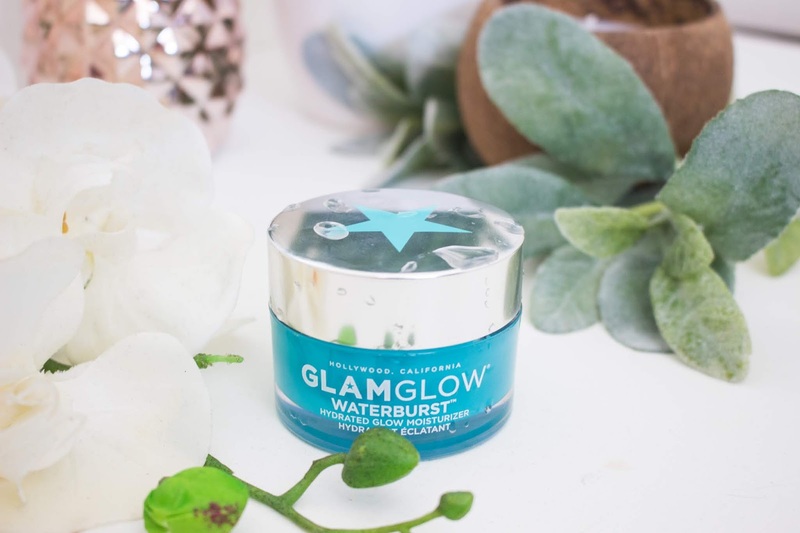 The Glamglow Waterburst Hydrated Glow Moisturiser retails for £39 from Debenhams and FeelUnique and $49 from Glamglow and Sephora.